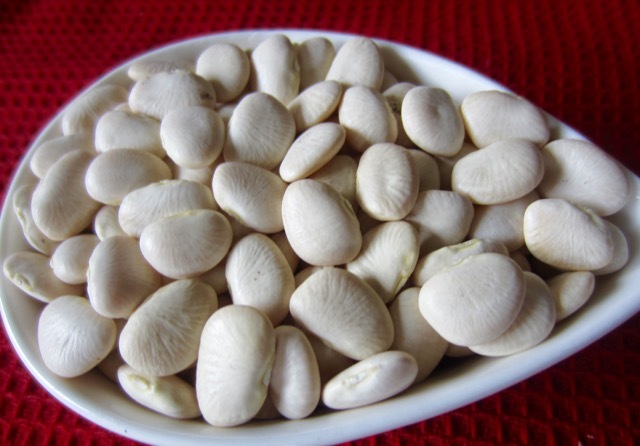 What is Lima Bean (Butter Bean, Fordhook)? Lima bean is one of the most widely available beans. The two common cultivars in North America, come in two sizes. The large lima bean is called Fordhook or Butter Bean or Madagascar Bean and the smaller lima bean is called Baby Lima (Henderson, Dixie). The beans are named after Lima, the Capital of Peru. Large Lima bean is a cultivated variety of the Lima bean, Phaseolus lunatus. The beans are large, flattened and cream coloured. They are harvested when mature and dried . Dried beans need to be soaked before cooking and they require a lengthy cooking time. Large lima can also be sold green, frozen and canned. The dried large Lima beans are more starchy. 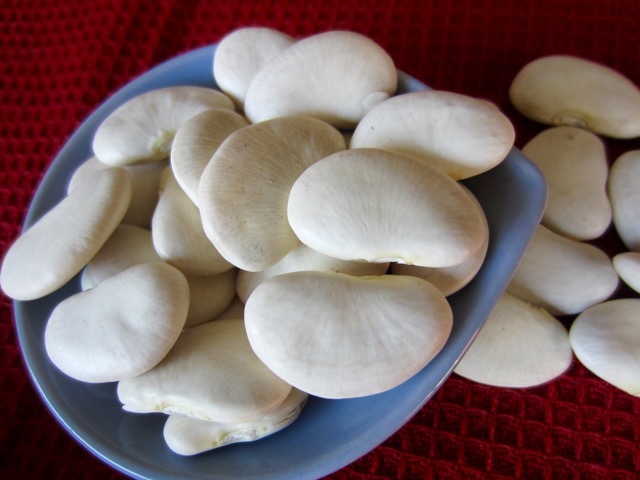 They can be added to soups and casseroles and also used to make succotash. 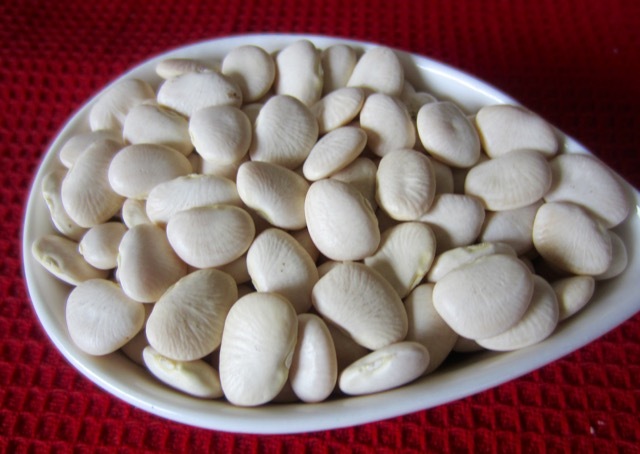 Baby Lima is a cultivated variety of the Lima bean, Phaseolus lunatus. It is mostly harvested green because it’s ideal for canning and freezing. It’s also harvested when mature and dried. This, of course, causes a lot of confusion because some people think that Baby Lima is a separate species from the large sized Fordhook (Butter Bean, Large Lima) . The baby Lima is a milder tasting variety compared to the bigger lima. It’s sold frozen as well as dried and canned. In some parts of the USA baby lima is referred to as Butter Bean. 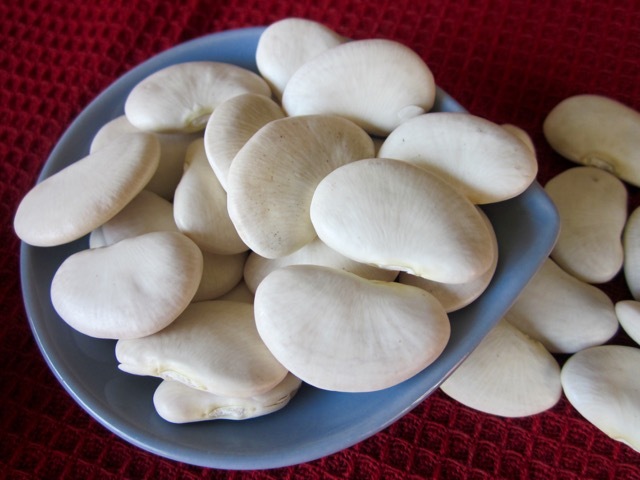 The shape of Lima beans may be kidney, rhomboid to round, the size 1-3cm long. The colour is very variable from white, grey, yellow, brown, red, orange, purple or black and may be speckled, mottled or full coloured. I hope this gives you an idea of how variable the Lima bean is, even if your corner of the world has only two types. Prev What is Salt Pork? Next What is Whole Black Gram (Urad Dal)?